There are a lot of movies and TV shows that engage in a dialogue about the culture of advertising, both positively and negatively. As a major film and TV buff, I couldn’t help but highlight a few of my favorites (in chronological order) that any ad woman or man should watch to further their education of the industry—or in the case of What Women Want, just to laugh at Mel Gibson. When preparing for this post, I knew I wanted to cover at least one post-WWII film about a business exec returning from war, struggling to rebuild his career while acclimating himself to the hectic, commercialized America that grew in his absence. Other films in this genre to check out are: The Best Years of Our Lives and How to Succeed In Business Without Really Trying. 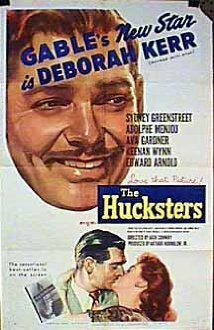 As with these other films, in The Hucksters, starring Clark Gable, post-WWII America has changed; and returning veterans and a new generation of corporate workers alike must adjust to a more commercialized world where compromising your ethical values to get ahead and to keep a client happy seem par for the course. 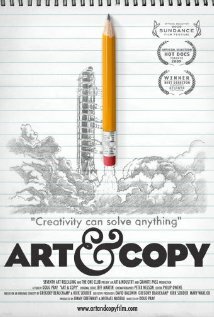 While painting the ad world as a callous “selling machine,” the movie does support the idea that when it comes to developing and pitching ad campaigns, creativity and a willingness to think outside the box are keys to success. 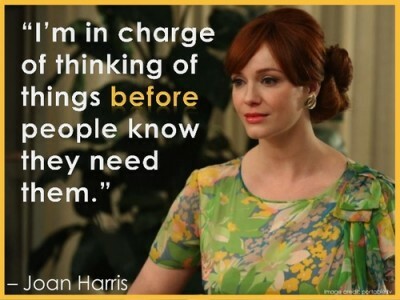 But do not fret, more recent films and TV shows paint advertising in a much more positive light. Which brings me to Mel Gibson – in all his glory. The story of a pompous, chauvinistic ad exec who transforms his view of the world with the help of the right woman is not new, but the lengths at which Mel Gibson goes to get inside the head of women to market their products are pretty hilarious. This image of him simultaneously waxing his legs and testing blackhead pore strips while smoking is hard to forget. And so is the underlying premise: In advertising, you need to understand the psyche of your customer in order to create a successful campaign (and win over Helen Hunt!). 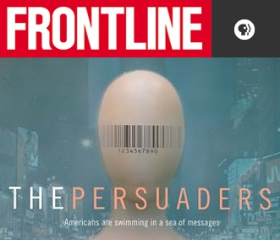 In the documentary film world, PBS’s Frontline: The Persuaders delivers a well-researched, in-depth look at the culture of advertising and marketing in America. As Frontline correspondent Douglas Rushkoff concludes: “We Americans value our freedom of choice—choice in the marketplace of goods, and choice in what has become a marketplace of ideas. When the same persuasion industry is engaged to influence these very different kinds of decision-making, it’s easy for our roles as consumers and our roles as citizens to get blurred. By revealing some of the most effective practices of the persuasion business, we may better understand our choices and perhaps make wiser ones.” A must see for anyone in the industry and it’s streaming on PBS.org, so add this to your watch list now! 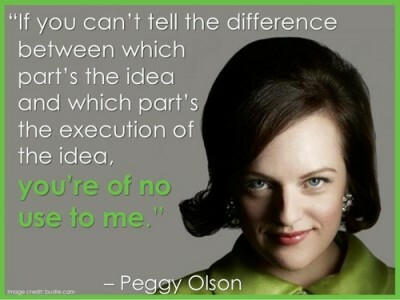 “Hate advertising? 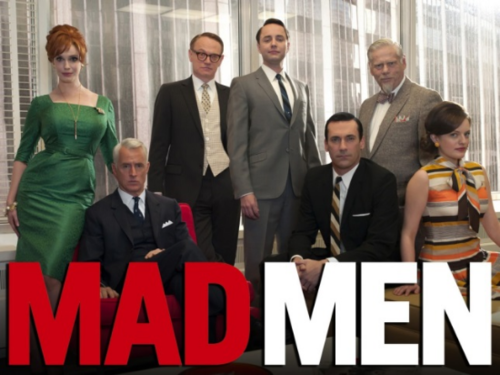 Make better ads.” – Doug Pray, director of Art & Copy. A documentary that focuses on the positive impact advertising can have on our culture, Art & Copy highlights the great creative minds behind truly memorable and socially uplifting ads such as “Just Do It”, “I Love NY” and “Think Different.” The film treats advertising as a true art and just like any art form, marketers need to draw their creativity from the human experience and distill these experiences into simple yet universal truths about what we as consumers really want and why it matters. 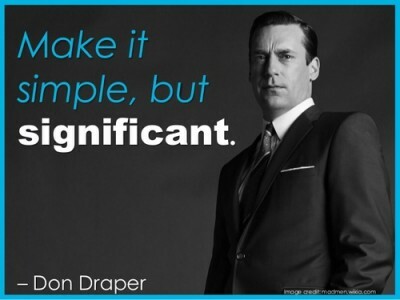 And finally Mad Men. Where to start? 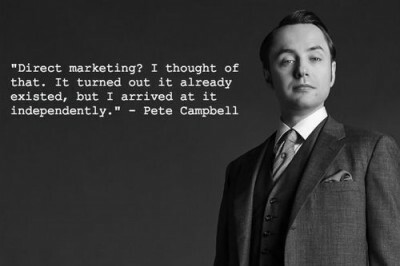 Maybe at the very beginning of this post with Don Draper, another war veteran, who reinvents himself in the world of advertising. The underlying message of this series is clear: the transformative power of advertising is at once personal and universal. In our commercial culture, our own identity becomes intertwined with the products we buy and the lifestyle these products symbolize for us.